With celebrity chef Simon Gault recently coming out against the National Party's immigration policy, it's clear that a number of sectors will be negatively impacted by the proposed changes. But dairy farmers that I talk to say they feel they have been targeted with laser precision. The temporary Essential Skills Visa is widely used by the dairy industry to fill deepening labour shortages in rural and provincial areas. It is particularly vital for the mid-skilled roles such as assistant herd manager and herd manager - positions that require at least two years relevant work experience. "It will mean many dairy farmers will be forced to wave good-bye to motivated, capable migrant workers whom they have trained for three years." Under the proposals being considered, the Government will introduce salary thresholds to partly replace the current system to determine skill level, which uses the outdated and clumsy Australia and New Zealand Standard Classification of Occupations (ANZSCO). This policy would have a great deal of potential and Federated Farmers has long argued that ANZSCO does not fit farming because it allocates only two skill levels - the very highest and the very low, as if there are no mid-range positions on modern dairy farms. However, the changes perpetuate the fatal flaw of ANZSCO by classifying positions like assistant herd manager and herd manager as the lowest skill level with dairy farm assistant. The total amount of time a migrant working in these positions could remain in the country is three years without leaving for a period of 12 months. They will also be restricted from bringing their partners and children as part of their visa. The Government has argued that businesses which need them will still have access to overseas labour where a shortage can be demonstrated, and these changes will not necessarily reduce the number of essential skills migrants coming to New Zealand. 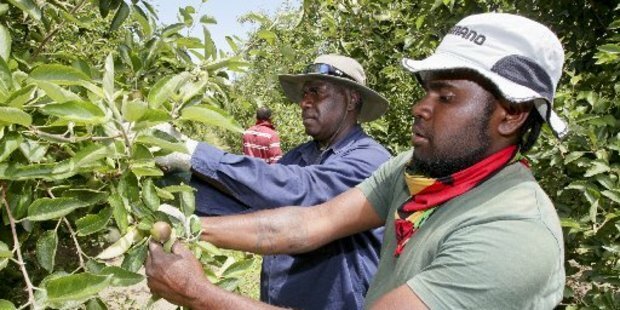 This may well be true but it will make New Zealand a less desirable destination for talented migrant workers and will also mean that many dairy farmers will be forced to wave goodbye to motivated, capable migrant workers whom they have trained for three years only to have to employ another migrant who has had no such training or experience.